Your operating system wants to speak to you, but do you know how to listen? Every operating system, application, and device on your network generate logs (events) to let you know what is happening. OSSEC collects, analyzes and correlates these logs to let you know if something wrong is going on (attack, misuse, errors, etc). Do you want to know when an application is installed on your client box? Or when someone changes a rule in your firewall? 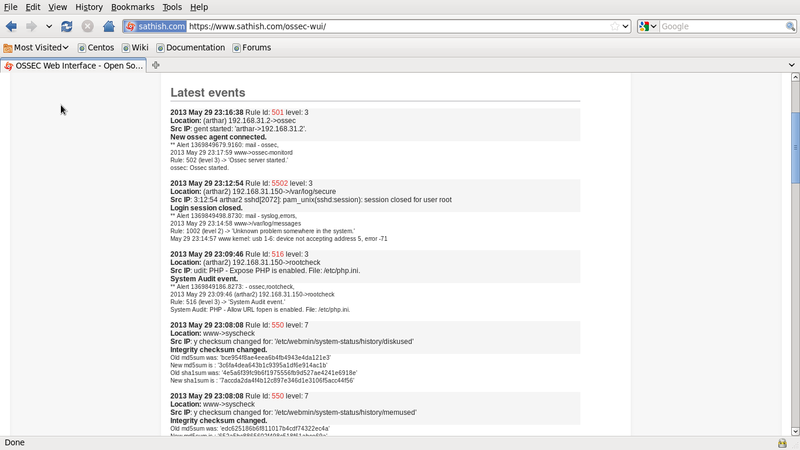 By monitoring your logs, OSSEC will let you know of that. 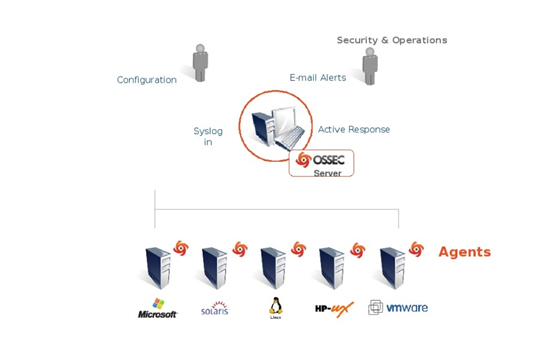 OSSEC is composed of multiple pieces. It has a central manager monitoring everything and receiving information from agents, syslog, databases and from agentless devices. The manager is the central piece of the OSSEC deployment. It stores the file integrity checking databases, the logs, events and system auditing entries. All the rules, decoders and major configuration options are stored centrally in the manager, making easy to administer even a large number of agents. The agent is a small program installed on the systems you desire to monitor. It will collect information on real time and forward to the manager for analysis and correlation. It has a very small memory and CPU footprint by default, not affecting with the system’s usage. Agent security: It runs with a low privilege user (created during the installation) and inside a chroot jail isolated from the system. 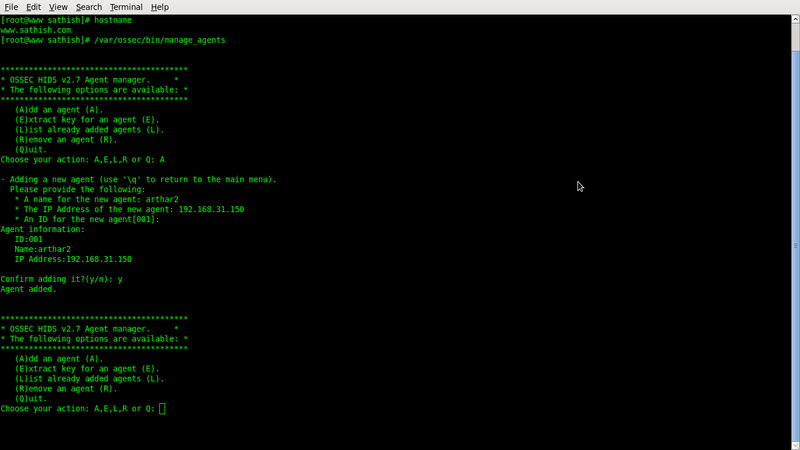 Most of the agent configuration is pushed from the manager, with just some of them are stored locally on each agent. In case these local options are changed, the manager will receive the information and will generate an alert. For systems that you can’t install an agent, OSSEC allows you to perform file integrity monitoring on them without the agent installed. It can be very useful to monitor firewalls, routers and even Unix systems where you are not allowed to install the agent. That’s it. 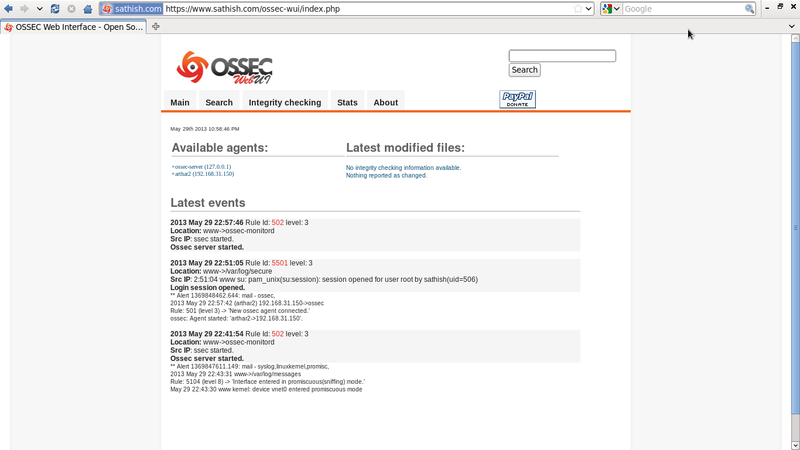 Ossec server installation completed.now I can can browse to http://www.sathish.com/ossec-wui. 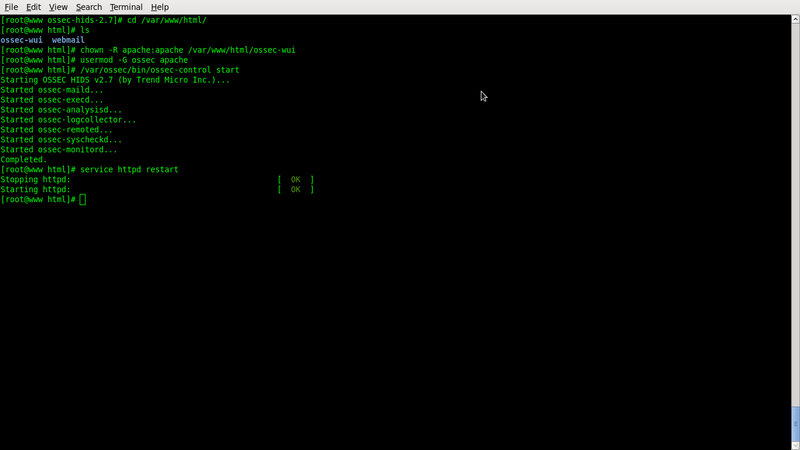 The default user and password are: ossec/ossec. That’s it. 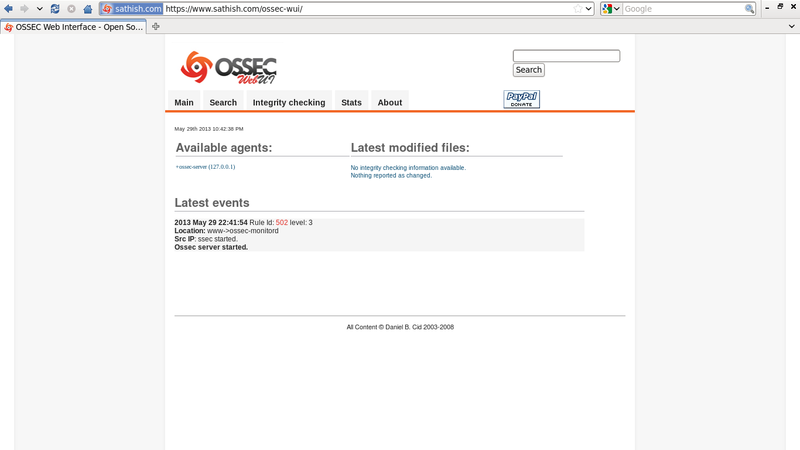 OSSEC client installation completed. 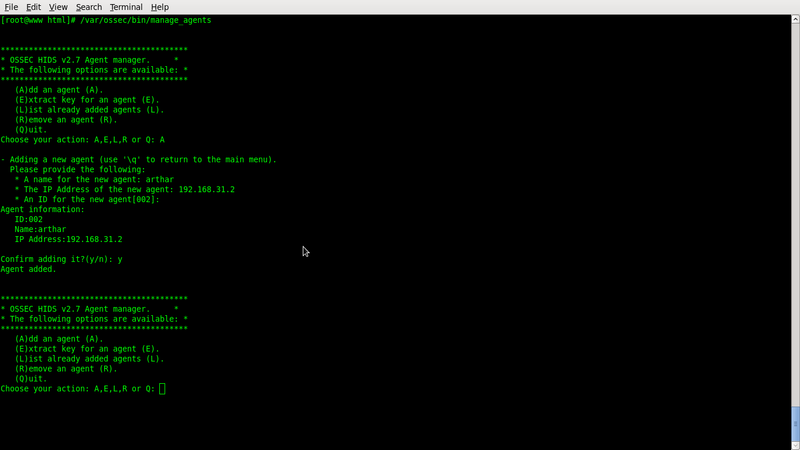 Now i can browse to http://www.sathish.com/ossec and see messages from my new OSSEC client.